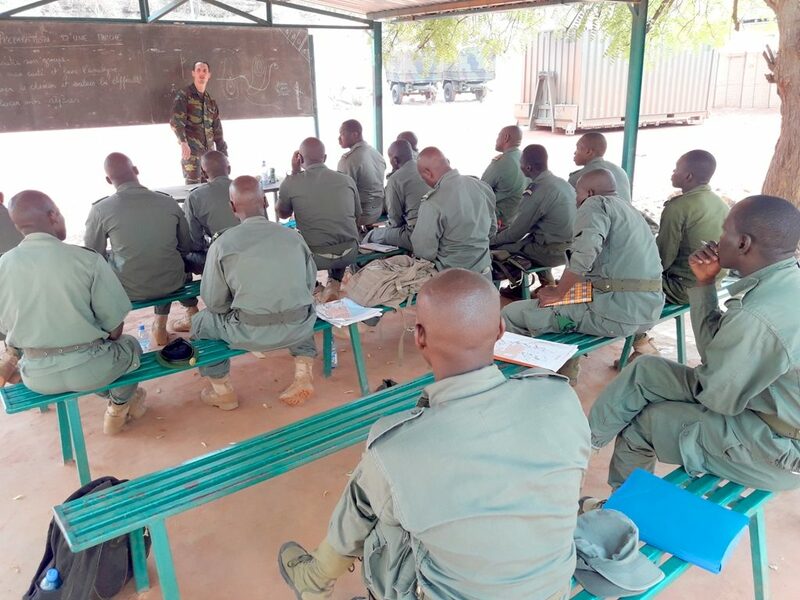 During the past six weeks Topography and Signals Instructors courses were conducted in the Koulikoro Training Center in order to improve the Malian Armed Forces (MaAF) capabilities and to train their personnel as instructors. The courses lasted six weeks. 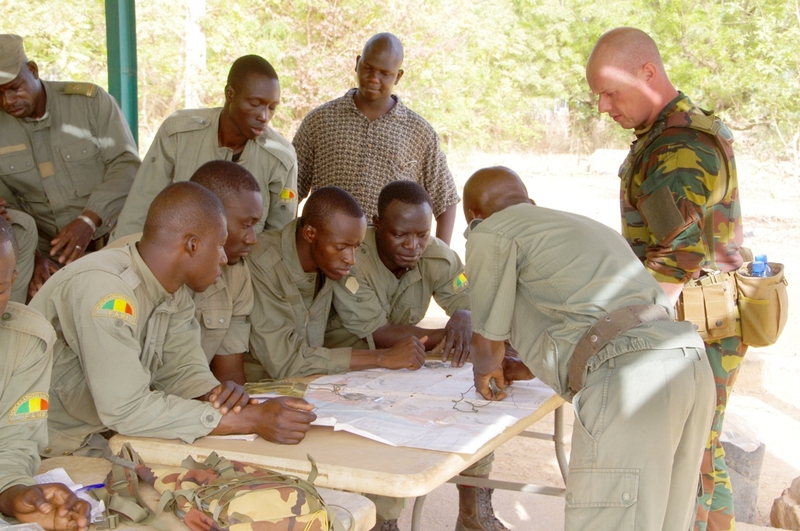 The Topography Instructors course, with twenty trainee Instructors from the MaAF, contained several lessons from a variety of subjects. The course started with basic topography lessons, which were increasingly demanding as the time went by. 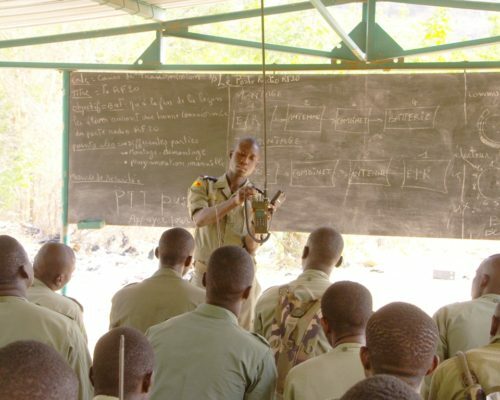 Those lessons were carried out both in and out of the classroom, with many practical exercises that served to reinforce all the theory received. 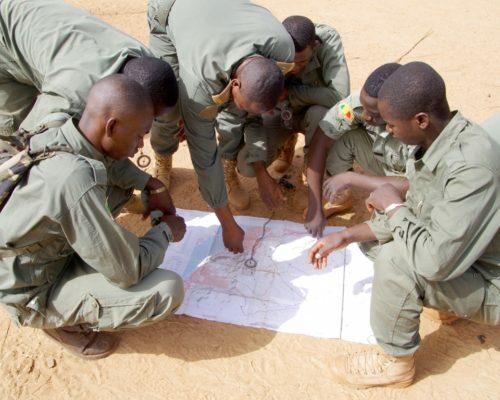 The handling of maps, the compass, the GPS and other topography subjects were taught in this first part of the course. 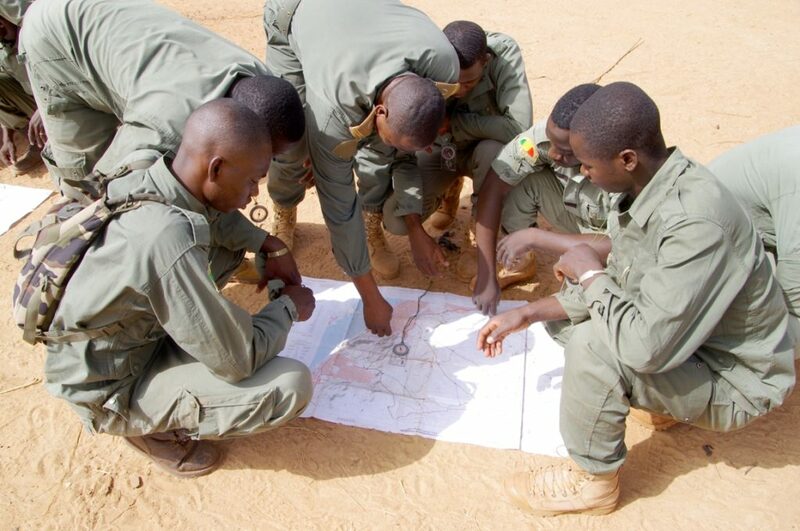 The Signals Instructors course similarly had in attendance twenty members of the MaAF. 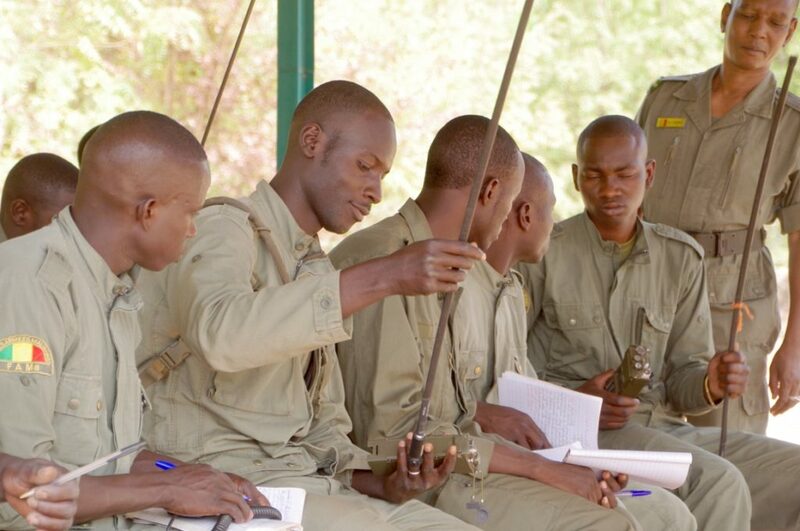 The course was based in the RF20 radio and started with an introduction to the RF20 portable radio in order to familiarize the trainees with this capable piece of equipment. 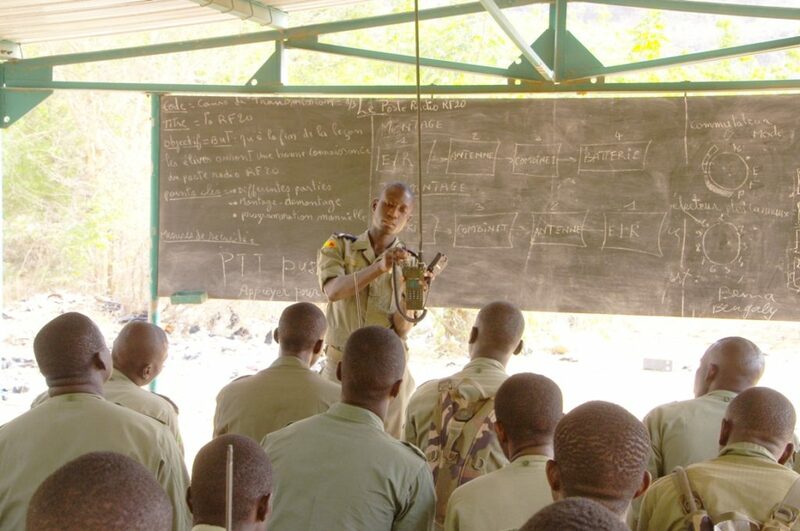 During the following weeks the trainee instructors were taught radio procedures, Code Words, Phonetic Alphabet and, in general, all the information necessary for working in a communications network. 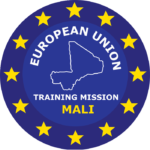 The second part of both courses was focused on teaching the trainees how they could prepare a course by themselves and providing all the necessary tools for becoming an instructor. 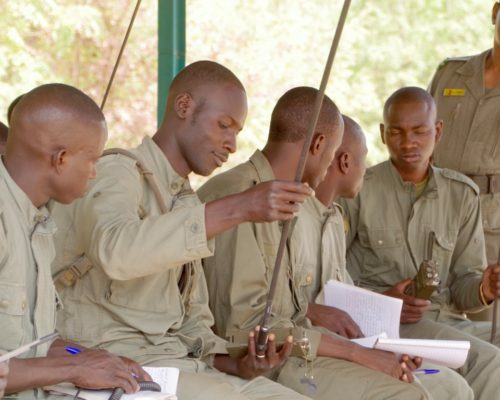 All the trainees also received lessons on International Humanitarian Law, Methodology and Pedagogy. The Topography and Signals Instructors courses culminated in a joint ceremony. 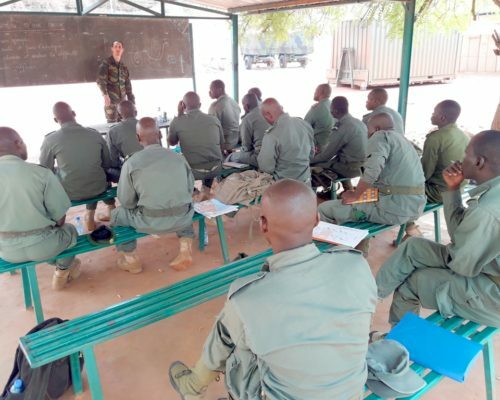 During the ceremony, in recognition of the sterling efforts of these forty trainees, the ETTF Commander, Colonel Olazabal, personally awarded each newly qualified Instructor their course certificate.